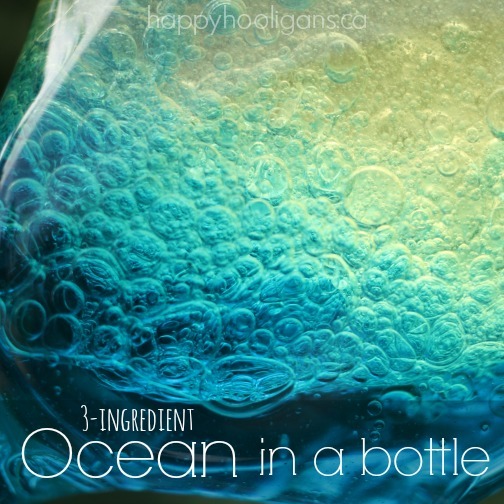 Make an ocean in a bottle with 3 easy ingredients. 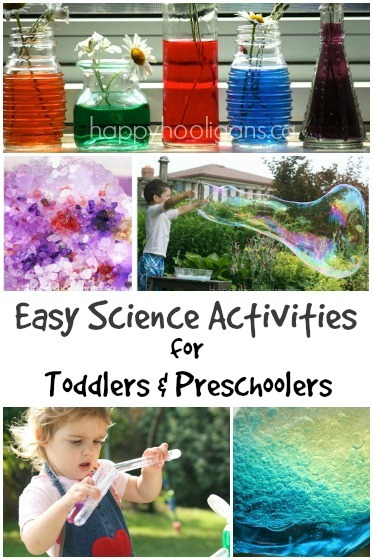 One of the fastest and easiest-ever science activities for preschoolers. I love to make homemade toys for the hooligans. Discovery bottles are always a favourite here. They look so beautiful, and no matter what we fill them with. This particular ocean in a bottle has to be the most amazing looking bottle we’ve made yet though! 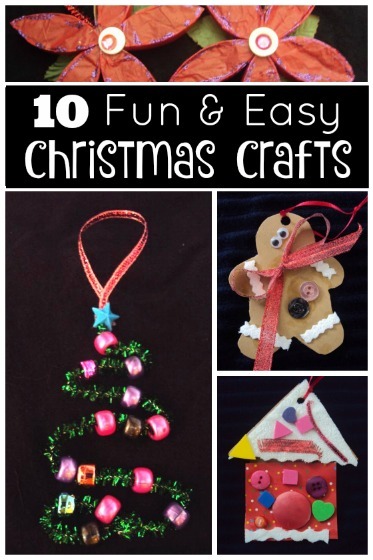 It was SO easy to make, and you likely already have everything you need on hand. This oil and water science experiment isn’t new by any stretch of the imagination. It’s a classic preschool science activity that’s been around for years. I actually can’t believe we haven’t done it before! Yesterday, I happened upon this learning discovery bottle over at Play Trains, and I decided we’d make an ocean bottle of our own today. If you want to explain the scientific details to your child, pop over and check out this article explaining why oil and water don’t mix. I didn’t have a 2L pop bottle on hand, so we used an empty mouthwash bottle. I like that the lid is child-safe, and too challenging for little hands to twist open. If you’re using a bottle that’s not child-safe, you might want to run a little hot-glue around the inside of the bottle lid. Fill approximately 1/3 of your bottle with water. Add several drops of food colouring. Have your child shake the bottle to disperse the food colouring. Now, simply top up the bottle with oil. I filled ours right to the top and then popped the lid on. Tip the bottle upside down and watch your ocean come to life. The pictures really don’t do this activity justice. You have to see it in action. The way the waves roll cascade inside the bottle is just beautiful, and watching the big blobs of colour swoosh and fall through the yellow oil is really fascinating. The more you agitate the bottle, the more the bubbly the ocean becomes. Set your bottle down occasionally to let the bubbles settle, and then start all over again. Sorry about that! It was super-late when I finished the post, and I didn’t catch that error. I’ve fixed it up now. Thanks so much for letting me know! 1/3 water, and then fill up with oil, Dorothy. If you fill 2 litre bottle with oil, very expensive project?.??? This is just WAY cool! I LOVE it and as an adult, I’d want to try it. I can’t wait for my son to get a little older and do cool stuff like this with him. Thanks so much for sharing! 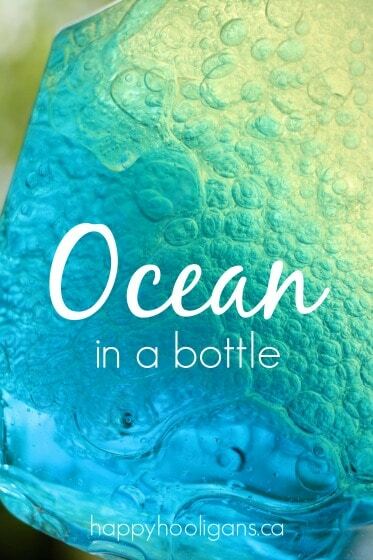 Please revise the instructions for ocean in a bottle. Oil is one of the three ingredients, but there is no mention of adding the oil to the bottle. Surely it is either added first ( although the food coloring doesn’t mix in ) or second? Thanks. Yes, simply top up the bottle with oil. That’s right, Dan. Such fun!! Using mineral oil instead of cooking oil means the oil is clear and I really love that effect with the food coloring in the water and the other half (the mineral oil) perfectly clear. Yes, or baby oil would have the same look too. I must pick some up at the dollar store! This is really cool. I was thinking about doing it as the craft for an Easter Egg Hunt next year (2015). I was also thinking about buying small plastic sea creatures and/or small shells to add a few in. Have you tried anything like that before? I haven’t in the oil and water bottle, Michelle, but I’ve added odds and ends to bottles that I’ve filled with water or hair gel or coloured rice! I think it’s a great idea! Thank you for the response, I will have to test out a few ideas . In case you are tempted to add glitter for a touch of glam… Don’t do it! 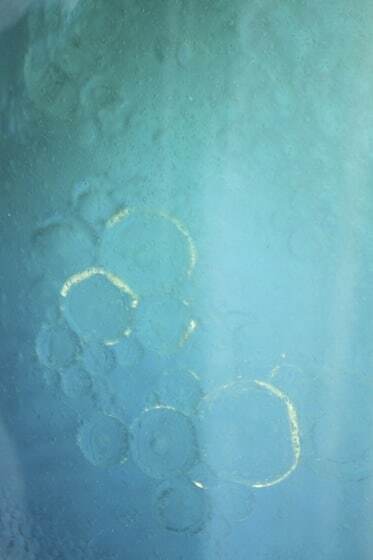 Maybe someone who knows science better than I do can explain it, but it looks like the glitter catches everything up and emulsifies it , so it takes a very long time for the oil in the water to separate again! I just threw everything away and started over!! Thanks so much for the warning! That would have been something we’d try. Shake it too much and it never separates again. Very disappointed in this project. That’s actually, totally, not possible. Chances are there was something else in your bottle to begin with. If it was an old lotion or soap bottle there could have been some residue left in the bottle from what was in it before that emulsified it. Water and oil cannot permanently emulsify from vigorous shaking alone. It needs the addition of an emulsifier. Oh, that is a very helpful response, Megan. Thank you! I was wondering how the oil and water could become completely emulsified, as mine always separate after resting. Brilliant. Thank you! My 2y.o. will enjoy it 🙂 Thank you! Absolutely beautiful. I think of the yellow oil as sunshine filtering through the water. Can you make this in a smaller bottle? I’d love to do this as a take home craft for my son’s birthday party, but I don’t know that I want to go in search of 14 2 liter bottles. Thanks! You could give one a try and see how it turns out, April. My younger brother (age 12) and I just did this experiment with an empty Poland Spring bottle. Still worked great! Ok, I am 57 years old and I love this. My son is 32 and have no grandbabies yet so this is for ME. I am decorating my home in the beachy coastal style and this would be a great way to bring the ocean into my home since there is no ocean near where I live in “Missouri”. I will put it in a large pretty bottle and sit it near my sea shells and let people shake it up and admire it when they come to visit. Thanks! I’m an 8th grade science teacher … and believe me … many of your experiments will enchant and delight 8th graders too. Thank you for these that show kids that science is interesting and FUN! I used this for a white elephant recycling themed gift exchange for my cub scout. My son loved doing this, we used a baby oil bottle, bonus we used the last third of the oil for the project and topped it off with some veg oil. He chose blue also. And since it’s for scouts, we used plastic putty glue to permanently (I hope)glue shut the lid. Should be fun! Thanks! Trying to think of a way to use this as decor for an Ocean themed wedding. My niece is getting married next year and I think something like this would be awesome to display, maybe on tables. Just not quite sure on bottle types and if putting in sea shells would work. Any suggestions??? Pls help! I’ve similar bottles with shells added, Heidi. As for how to display them, there’s a brand of bottled water called Voss. I’m not sure where you are, but if you have it there (in your grocery stores), you could use those bottles. It’s pricier than regular bottled water though, so you may need some pals splurge on it once in a while, and give you the bottle when they’re done. You could also check Michael’s or Hobby Lobby for interesting looking containers with lids that seal tight. The easiest place for me to find VOSS water locally is at Walgreen’s drugstores. They are often on sale, too, for $3 for two bottles. We used a VOSS water bottle for a similar project at our school and it was dropped on the floor and the lid cracked open. I’ve used soda bottles and not had this problem. I have saved some bottles from dry roasted peanuts to use. i tried it, its so cool! but instead i used a small coke bottle and eyeballed it! I was so excited to do this but I tried it twice and it didn’t work. I ended up with a layer of blue water and a layer of oil on the top no matter how much I shook it. Was it because I used vegetable oil? That might be the reason, Mae. I can’t think of any other reason it wouldn’t have worked for you. Hi! I came across this craft on Pinterest, and decided to try it with my tween sister (I’m a teen). 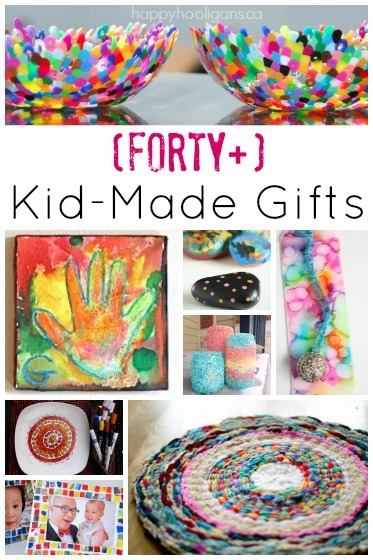 We made this craft and absolutely love it! We used smaller bottles, so we could display them on our window sills. I love to look at it, and I’m definitely going to make it again, and use green, pink orange, purple, any color really. I wrote a review about it on my website if you want to check it out! Hey Ally! So glad you loved the ocean in a bottle. I think it’s great that you and your sister made them. An assortment of colours would be awesome! I need to do that too. Cool blog you’ve got there, girl! How odd. It’s simple science. I can’t imagine what would go wrong unless perhaps there was residue in your bottle. That could prevent the oil and water from behaving properly. This is great, thank you! My toddler and I used mini water bottles and they were the perfect size for little hands doing the pouring, squeezing, and shaking. I made this when I was in Kindergarten. The teachers used baby food jars and just super glued the lids shut. We got to pick out tiny sea animals to put in ours. Definitely one of my favorite projects since I still remember it 20 years later! awesome idea! 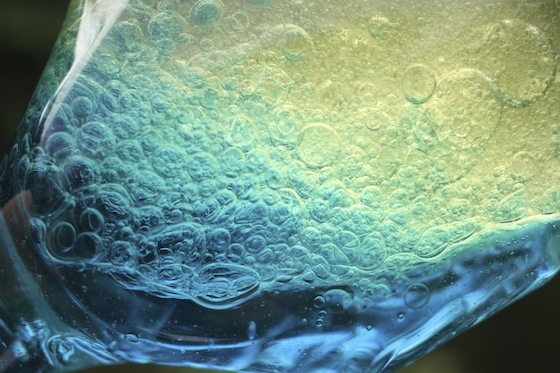 add 1/2 alka seltzer tablet or other tablets that fizz and use half the quantities of oil and water. Stand back and watch it fizz! 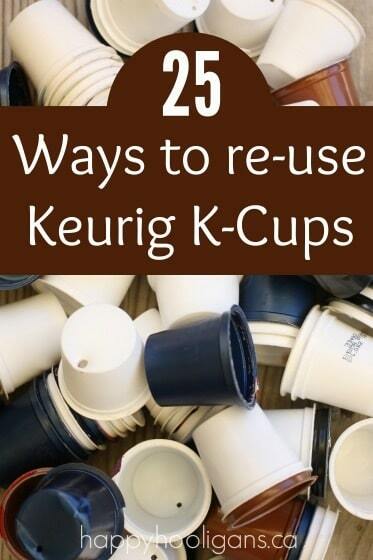 for more help on how to make this go here…. I absolutely love this idea! We save our cleat 2 liter bottles for science and crafts, so we’ll have the bottles when we want to do something like this. Not too crazy about using 2/3 of 2 liters of oil though, so we’re going to definitely use a smaller bottle. Glad to know about glitter not being a good idea for this. If someone want’s a great science activity using 2 liter bottles, one is the tornado in a bottle and the good news is, glitter is a really good idea to put in them! On the other side of a coin, I’m already planning our Cub Scout Blue and Gold Banquet for next year. Planning on a theme to do with the sea, maybe Cubs Under the Sea or something like that. This will be perfect to have on the tables for both decoration and take home! Thanks for the wonderful idea! This is beautiful. I love the blue – very soothing. My nephews will love this, but i was also thinking what a great stress reliever it would be on the desk too. I love it just as much as the kids do, Cheri. It’s very relaxing! I was wondering if it would work if we put it in ziplock bags and double sealed it with tape and put it in another zip lock bag? It might, Jayne. It’s up to you weather or not you want to risk the bag popping. That’s a lot of oil in there, which would ruin carpets/furniture etc if it did leak. Is it working only with food coloring? Is it okay to use water color or acrylic paint? Watercolour paint would work because it’s water soluble. I don’t think acrylics would work as well, but I’m just guessing there. How strange. What kind of oil did you use, Asia? Was it fairly fresh? I know old oil can go cloudy when you shake it up. As for solidifying, that is really odd. I’ve never known an oil to solidify. 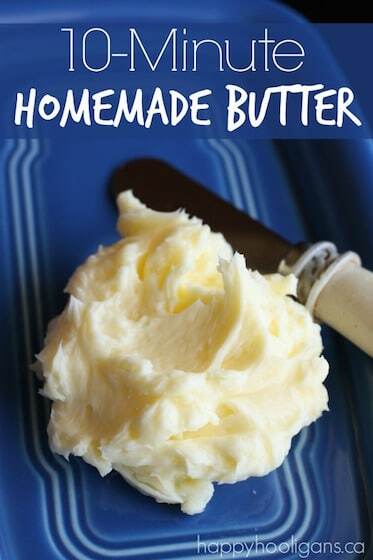 I made this myself and the oil became cloudy after first use, it was pretty fresh. And instead of going through the water, it went down the walls of the jar, so no ocean effect. I also washed it before putting stuff in it. I’m wondering what happened? Hmm. I haven’t a clue, Kayaqua. I haven’t heard of that happening before. I’m sorry I can’t offer you a solution! could the food colouring work with paint? I do this every year with my preschool class. I use a small gatorade bottle or dr pepper instead of water bottle as the are thicker plastic. I have also used baby oil because it is clear. We habe out toy fish and sand in to make it more authentic looking. Sand was not as pretty . I let the kids choose the color so each one is unique and theirs. This is really cool! 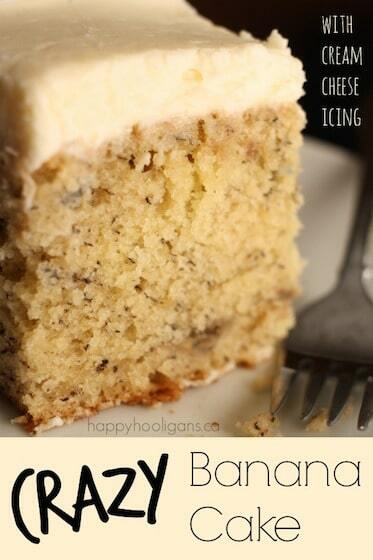 I really want to make this. I need something to shake sometimes, if ya know what I mean. I made something too! I just used a baby food jar,filled it with water,add a drop of dish soap. Last add some pieces of string. Swirl it around. Really fun! In my opinion. Would it still work well if I mixed this with a “jellyfish in a bottle”? I’m interested in making one if so. I might try it out soon! It might, but I’m not sure if the oil would interfere with the behaviour of the jellyfish. I’d give it a shot if I were you. Worst case, you can remove the jelly fish and still have an awesome sensory bottle for the kids to play with and observe. My Church will be do this with VBS kids next summer. Thank you for sharing! Yay! You’re so welcome, Cyndi! To those getting cloudy oil, i suspect you are leaving air inside the bottle. 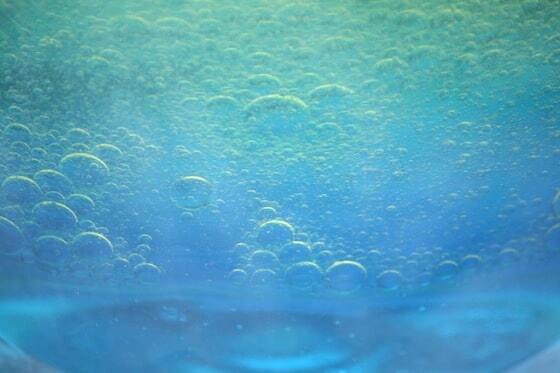 If you shake it really hard with air inside, it will mix tons of air bubbles into the oil and make it cloudy. Try to let as little air inside the bottle as possible. Will water colour not work instead of food colour? I actually just made one of these for me to relax me…after my parents stopped freaking out because it’s something different and weird. 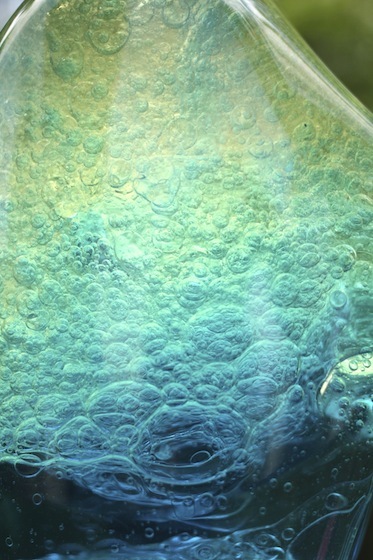 I love the effect of the water and oil, and the food colouring ties it all together with the yellow-green-blue. A brilliant idea, and a beautiful one, at that! Wonderful! I’m so glad you love it. How nice to know that it’s not just preschoolers enjoying our activities! This project turns out so well! 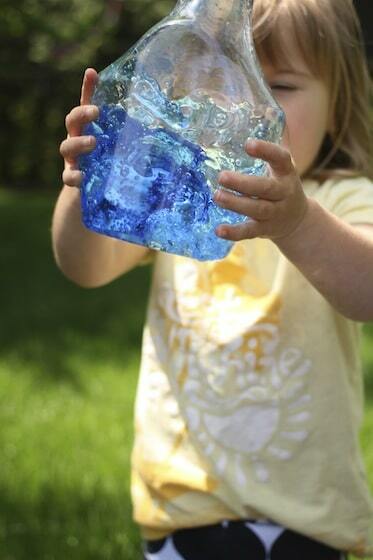 I tried it with my toddler and he was completely amazed by the ocean in a bottle. 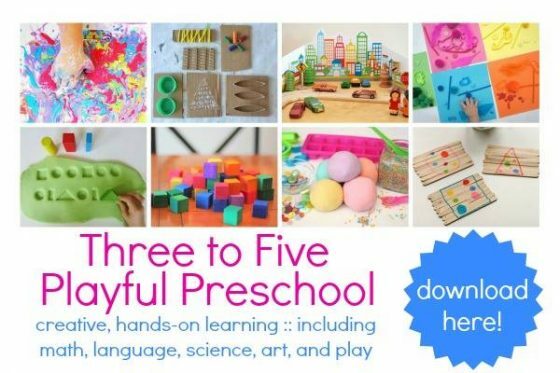 I shared your link on my blog as part of a post about activities to do with toddlers indoors. Thank you for sharing such a great idea! Hi Jackie! I love your project and linked it to my blog – would love to connect with you about cross-promotion if you’re interested. hey, just wondering im doing a project for my class is there anything else I need to worry about before I start. also what color is best? Hi Sam. Nothing really to worry about. Just make sure the lid is on tight of course. We’ve only used blue because we wanted it to look like an ocean, but I imagine any colour would work. Red or purple would be pretty cool. It might look like a lava lamp!